What are the advantages to buy From Enotepad? At Enotepad we are pride of ourselves on offering friendly service, advice, and support. Most of all, our staff is attentive and knowledgeable – we’ve been 3D printing for several years and are happy to answer your 3D printing questions. ❤【Dreamly Present for DIY Lover】It can help children improve their spatial thinking and imagination. Turning their ideas into reality!Which is the best choice of holiday gift for kids and adults. 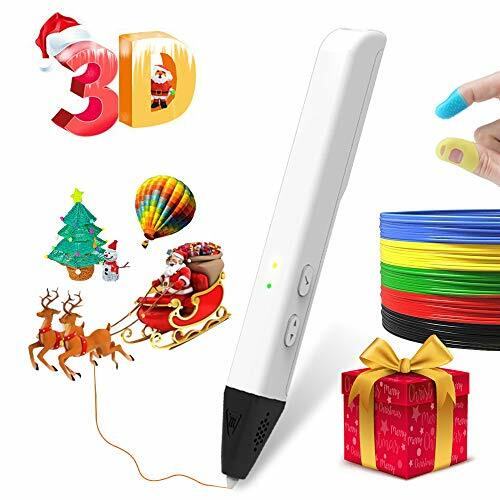 ❤【Eco-friendly Material&Safe for kids】Using eco-friendly and biodegradable material PLA filament 1.75mm.We offer 4 colors of PLA for you in the Christmas gift box. It comes with 2 finger protectors to cover your thumb and index finger to avoid hurting during use. ❤【Safer Function】Safer protective nozzle;Sleepy protect without using in 8 min. ❤【One button operation】Simple for kids to control the 3d printing pen,only one button to control preheating &start&stop&pause. Help Your children say goodbye to phones and computers.